Grass cutting is a regular activity that involves using a mower on your grass lawn to keep it healthy, well-maintained and beautiful. Mowing lawn can be done by you or through a professional lawn care services Dallas. Cutting your grass yourself has its advantages as it can give a keen sense of ownership and satisfaction to be able to take care of and keep your yard looking lush and green. For lawn owners who prefer to cut their lawn grass themselves, the following few basic steps will reduce your workload while mowing. The type of lawn mower you use on your lawn can determine how easy your lawn mowing is going to be. There are different types of mowers to choose from and some are more suitable for certain types of lawns than others. Some are also easier to maintain if you are on a low budget. Generally, electric powered mowers are preferable if you are looking at low cost or if you have a small yard. Tractor-type lawn mowers that are drivable are a better option if you have a large expanse of lawn to mow. Your lawn mower, just like any other equipment, will last longer and work best if it is properly maintained from the on-set. It is important to always clean up the mower after every lawn mowing session. The mower blades need to be clean and dry during storage to keep them sharp and free from rust too. You can check out any of the professional lawn mowing online if you would rather not do it yourself. The proper technique to follow during mowing your lawn is to mow in one direction and not in random directions. 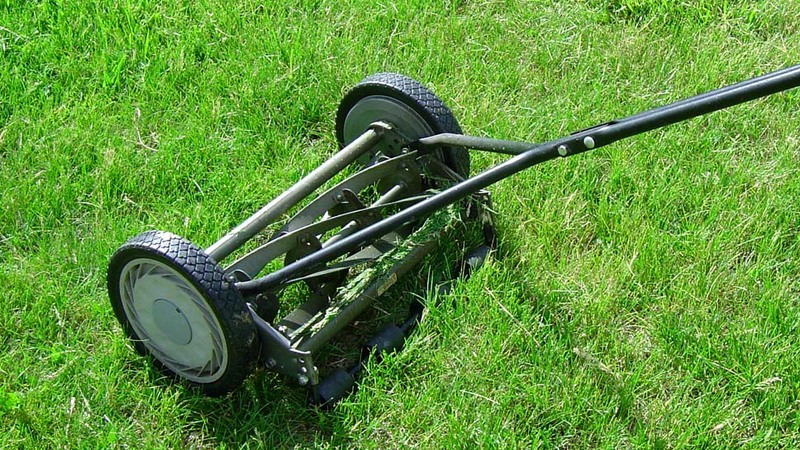 In addition, the lawn mower blades should be set to cut only the first one-third of the lawn grass and not lower. Cutting lower will expose the grassroots to the elements which might affect the grasses’ health. Grass clippings when left unpacked might form clumps and thatches that don’t decay properly causing disease and insect infestation and clog up the lawn and soil from receiving sunlight and nutrients properly. It also makes future mowing sessions difficult as the lawn will not be even. In addition, you can reduce work on your lawn by consulting a lawn care company Dallas for expert guidance and support. How to maintain the Grass in this Heat season?